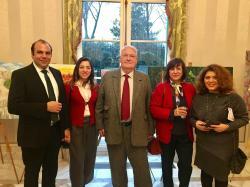 An exhibition of Azerbaijani artists and a concert program dedicated to Novruz holiday was held at the Azerbaijan Cultural Center in Paris. 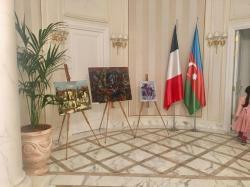 The gala event was held at the organization of the Azerbaijani Embassy in France, the association "Ulduz" and the gallery AsmarArt, Trend Life reported. 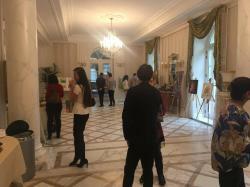 Numerous guests viewed paintings of national artists with great interest, as well as samples of arts and crafts. 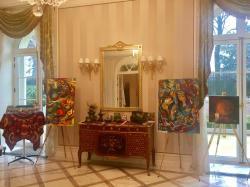 Bright and colorful works created by talented Azerbaijani artists reflect the customs and traditions of Novruz holiday. 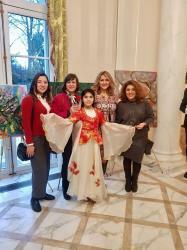 The exhibition featured works of such talented artists as Asmar Narimanbayova, Samra Akhundova, Leyla Aliyeva, Sahib Asadli, Aysel Mirgasimova, Fidan Akhundova, Rena Amrakhova, Arif Amirov, Vafa Efendizade, Azer Aliyev, and Murad Hasanzade. Further, art lovers enjoyed fascinating concert program which marked the arrival of spring. Asmar Narimanbayova is an associate professor of Azerbaijan State Academy of Fine Arts, and a member of the presidium of the Azerbaijan Union of Artists. Narimanbayova was born in a family of eminent artists. Her father Togrul Narimanbayov, was world-famous Azerbaijani artist, while her mother Elmira Huseynova was a sculptor. She grew up in the atmosphere of love to art, music and literature. Narimanbayova is an artist full of light, wide and enthusiastic soul. While creating works in different styles starting from fauvism to impressionism, then from postimpressionism to cubism and expressionism, the artist has found her individual creative manner of the letter, the original color sensation acting as a composition dominant. She has been characterized for her bold and engaging style. Colors in her artworks fill the form with dynamics and saturate her canvas with the strong energy. 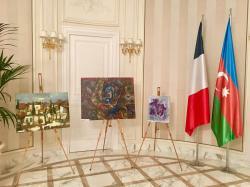 Narimanbayova’s works are displayed in exhibitions, international festivals and symposiums all over the world. 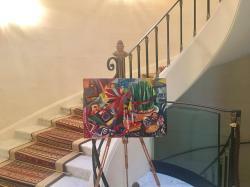 The creativity of the national artist has been appreciated by art professionals, and many connoisseurs and art lovers. Her works are featured in many prestigious galleries in France, Russia, New York, Ankara, Beijing, Berlin and London. 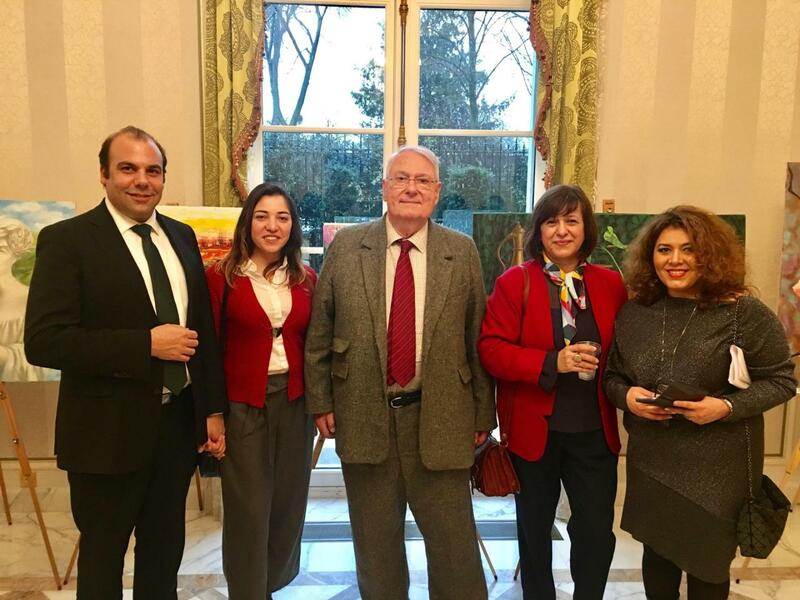 Fidan Akhundova participated in a number of exhibitions, including “Password unknown” (Azerbaijan ), " Errinerungsorte" (Germany), " Granatapfel & Feuerberg" (Germany), Music in Stone" 2nd International Stone Symposium Baku, etc. She is a member of the youth section of Artist Union of Azerbaijan, Union of Azerbaijan Cartoonists. Rena Amrakhova is a well-known Azerbaijani artist. She also engaged in teaching other artists. In her works, artist masterly reveals the secrets of female charm. Her canvases are distinguished by a soft color and depth of thought. 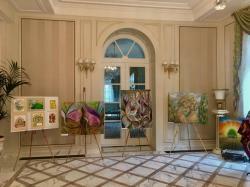 Azer Aliyev`s works have been displayed in more than 40 international and national exhibitions. In 2016, his works were displayed at Carrusel de Louvre gallery.